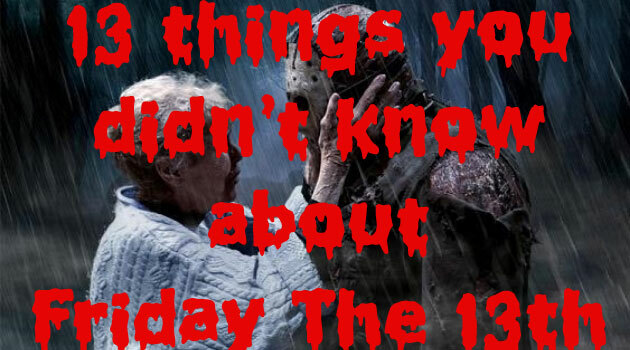 Friday the 13th meme,facts,quotes,meaning,myths and history. What happens on Friday the 13th?Why is this day most feared around the world?What does it mean and why is it so scary and often referred to as a black day?We are gonna check out the history ,some facts and memes celebrating this popular but most feared day worldwide! Very little is known about the origins of the day's notoriety. Some historians believe that the superstitions surrounding it arose in the late 19th century. The first documented mention of the day can be found in a biography of Italian composer Gioachino Rossini, who died on the famous date. A 1907 book, Friday the Thirteenth, by American businessman Thomas Lawson, may have further perpetuated the superstition. Others believe that the myth has Biblical origins. Jesus was crucified on a Friday and there were 13 guests at the Last Supper the night before his crucifixion. Another account suggests that the day has been associated with misfortune since 1307, when on that date, the French king gave the orders to arrest hundreds of Knights Templar. The fear of the date is also called friggatriskaidekaphobia or paraskevidekatriaphobia. Now say that 10 times really fast! Friggatriskaidekaphobia comes from Frigg, the Norse goddess of wisdom after whom Friday is named, and the Greek words triskaideka, meaning thirteen, and phobia, meaning fear. Paraskevidekatriaphobia is also derived from Greek: paraskeví translates as Friday, and dekatria is another way of saying 13. Experts say that friggatriskaidekaphobia affects millions of people and estimate that businesses, especially airlines suffer from severe losses on the famous date. Triskaidekaphobia, or the fear of the number thirteen, is even more widespread. So much so that many high-rise buildings, hotels, and hospitals skip the 13th floor and many airports do not have gates numbered 13. In many parts of the world, having 13 people at the dinner table is considered bad luck. The 1980 film "Friday the 13th" grossed nearly $40 million during its initial cinema run, according to information from the Internet Movie Database . The date Can Come in Threes. A bit of bad news for all of you who suffer from friggatriskaidekaphobia – all years will have at least one Friday the 13th. The good news is that there cannot be more than three of the infamous date in any given calendar year. The longest one can go without seeing a the date is 14 months. Do you know that for a month to have a the famous, the month must begin on a Sunday. Don't believe us? Check out our Calendars and test it for yourself. Three Friday the 13ths can occur in a leap year as well. If January 1 of a leap year falls on a Sunday, the months of January, April, and July will each have the date. In the 20th century, this happened in 1928, 1956, and 1984. And in the 21st century this will happen four times in 2012, 2040, 2068, and 2096. Notice something interesting? Yes, it is the 28-year cycle again! Famous spooky movie director, Alfred Hitchcock Was Born on the date too in 1899. Other celebrities and well-known personalities born on the date include actors Mary-Kate and Ashley Olsen; novelist and playwright, Samuel Beckett; and former President of Cuba, Fidel Castro. It's an Unlucky Day Only For Some. Funnily,the date is not universally seen as a day of misery. For example, in Italy, Friday the 17th instead is considered to be a day that brings bad luck. In fact, the number one three is thought to be a lucky number! There is very little evidence to show that the day is indeed an unlucky day. Many studies have shown that it has has little or no effect on events like accidents, hospital visits, and natural disasters. The commercially successful Friday the 13th enterprise includes 12 horror movies, a television series, and several books that focus on curses and superstitions. Even though the films and the television series consistently received negative reviews from critics, they have a huge following. The mask worn by the key character in the films, Jason Voorhees, is one of the most known images in popular culture. Some people believe the fear of the day goes back as far as to the Garden of Eden. Supposedly, Eve offered Adam the forbidden fruit on a Friday, and they were then ejected from Paradise.Hmmm,now that is crazy.Who comes up with all these crazy facts and myths? On that famous date in April 2029 to be exact. When 99942 Apophis was discovered in 2004, it was thought to have a small chance of colliding with Earth. But you can rest easy because since then, scientists have revised their findings which show that there is absolutely no risk of the asteroid impacting the Earth or the Moon.